If you know me, you'd probably know how obsessed I am with Instagram. I've now developed this habbit where I try to post at least one picture a day. 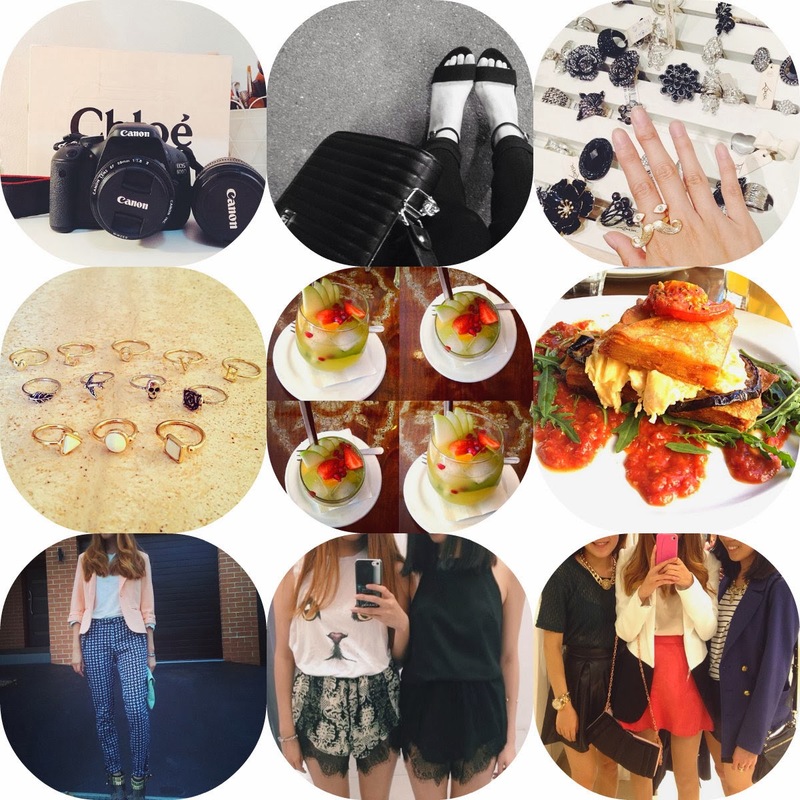 I've picked out my favourite Instagram pictures for the September month. September's been quite a handful but I'm loving our transition from winter to Spring (my fav season of the year). Hope these pictures will give you guys a little insight of how September has been for me! 3. Went shopping with the Brig the other day and was trying out rings at Lovisa. This moustach ring definitely caught my attention! 4. From the influences of my dear Brig, I finally brought some midi rings to accessories with. However, I still find them so uncomfortable! 7. Whilst I thought the Sydney weather was getting warmer, it randomly strikes with a cold windy day. This was the OOTD I wore for night shopping. Love the pictures, they look cool ! Hey there, loved your blog, just followed you on GFC (237), would you mind to follow back? I agree, instagram can be really addictive. Really like your midi rings btw.